Yebisu Garden Place is a “city within a city” entertainment, retail and office development located in the Ebisu district of Tokyo one train stop south of fashionable Shibuya. The site was previously the huge Yebisu Beer brewery and is inspired by the look of an old European city, with plazas, passages, symmetrical gardens and faux-ancient architecture – yet with decidedly modern facilities and conveniences. Among its numerous buildings and attractions are a beer museum, a photography museum, a cinema, a department store, an international hotel, and numerous dining opportunities including a Michelin 3-star restaurant. The Central Square has a magnificent arch over a sloped promenade which leads from the entrance at Marionette Clock Square to Chateau Square, with its cobble stones and French chateau. Quieter spots include Yebisu Shrine and Sapporo Square – which is, in fact, an English-style garden. The 40-stories, 167-metre tall Yebisu Garden Place Tower dominates the skyline and has some excellent restaurants and bars with fine views over Tokyo. The Yebisu Garden Place Tower has a free observation deck, a post office and branch of Mizuho Bank (3F). 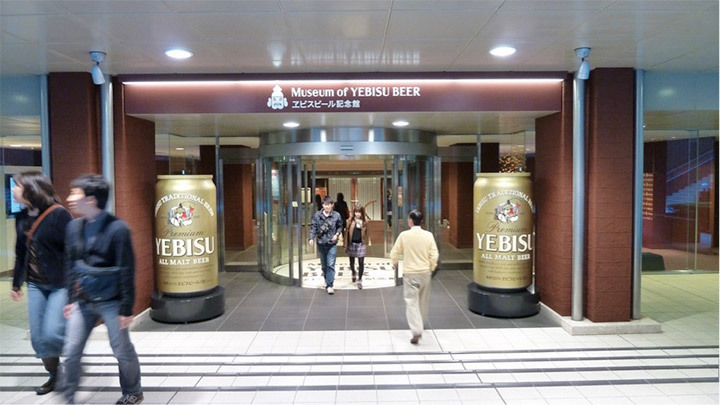 Yebisu Garden Place’s attractions include the excellent Yebisu Beer Museum, where visitors can join a tour to learn the history of the beer which gave its name to the area. The Beer Station restaurant, on your right as you enter from the Yebisu Sky Walk, serves Yebisu beer and western-style food. Other eateries and cafes in Yebisu Garden Place include the Michelin-starred La Table de Joel Robuchon, housed in a modern recreation of a French chateau, Chinese (Toh-Ten-Koh), French, Italian (Buco di Muro), Singaporean (Singapore Hainan Chifan) and Thai (Jaithai Palace) restaurants, a popular Starbucks and the Ginza Lion, which is another beer hall. The Tokyo Metropolitan Museum of Photography is located on the west side of Yebisu Garden Place. The Tokyo Metropolitan Museum of Photography is a 4-story archive and display space dedicated to photography and video – the only museum of its kind in Japan. It has a permanent collection of over 24,000 works, and three exhibition halls and a movie hall to display them in. The library on the 4th floor has over 60,000 volumes. 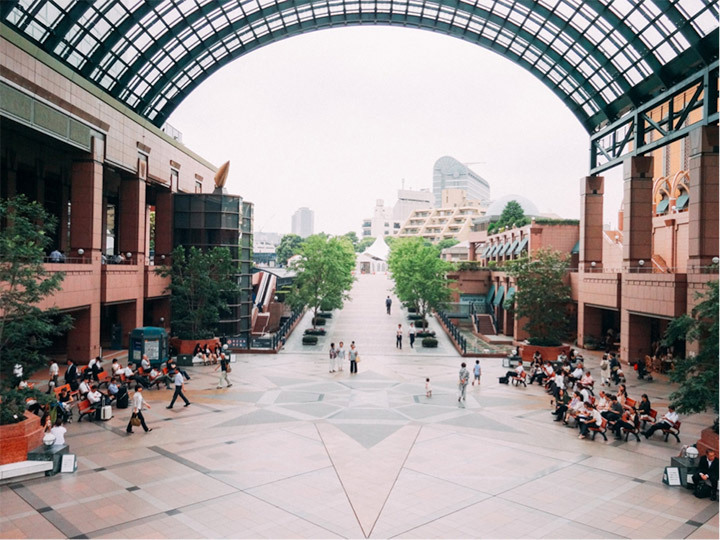 Yebisu Garden Place’s many shops include a large Mitsukoshi department store with a food hall on the B1 floor and an open air market selling arts and crafts, flowers and clothing. Outside the headquarters of Sapporo Beer are the Cosmic Configuration sculptures (Uchu no Kosei) by Nagano-born artist Kenji Mikawa. Other sculptures dotted around the site include works by Auguste Rodin, Aristide Maillol, Kyoko Kumai, Hiroshi Masuda, Mari Noguchi, Antoine Bourdelle and the “Flying Croissant” by Jo Nagahara. 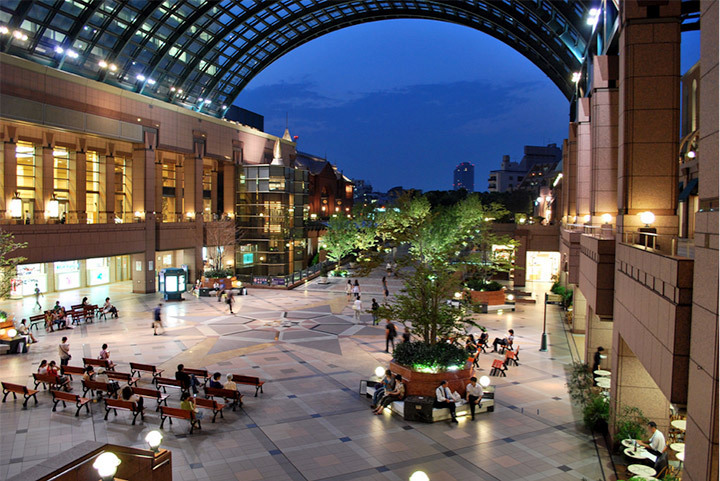 Yebisu Garden Place plays host to outdoor films in the hot summer months. One of them is the K-Theatre. The K-Theatre is Japan’s first ever theatre dedicated to K-Pop (Korean pop music) which has become fashionable in Japan in recent years. There is also a large ‘automaton clock’ Yebisu Hour in Marionette Clock Square at the entrance to Yebisu Garden Place which performs with a melody at noon, 3pm and 6pm each day. The theme, fittingly, is the Oktoberfest, and the marionettes include a barmaid and German band in lederhosen. 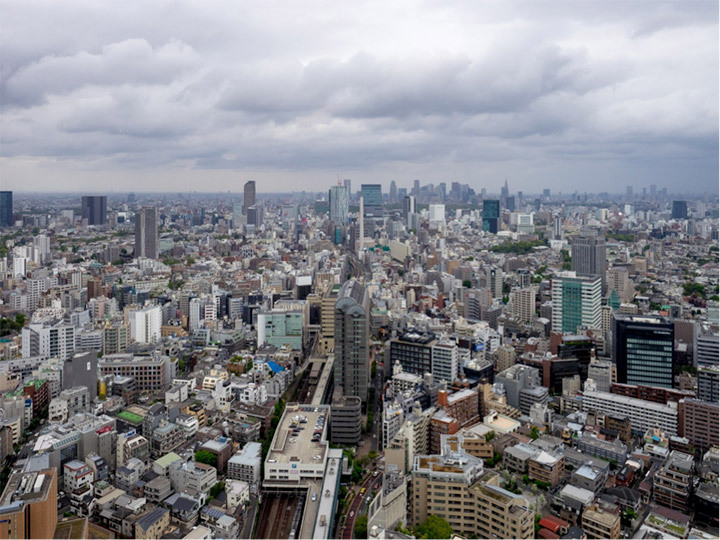 The nearest station to Yebisu Garden Place is Ebisu Station on the Yamanote Line, the Saikyo Line, the Shonan-Shinjuku Line and the Tokyo Metro Hibiya Line. There is a covered passageway linking the East Exit of Ebisu Station with Yebisu Garden Place called Yebisu Sky Walk, though the walk outside is pleasant enough. The luxury European classical style Westin Hotel is the nearest hotel to Yebisu Garden Place. The Westin includes a spa, executive bar and the excellent restaurants and service you would expect from one of Tokyo’s top hotels. Yebisu Garden Place is a "city within a city" entertainment, retail and office development located in the Ebisu district of Tokyo one train stop south of fashionable Shibuya.